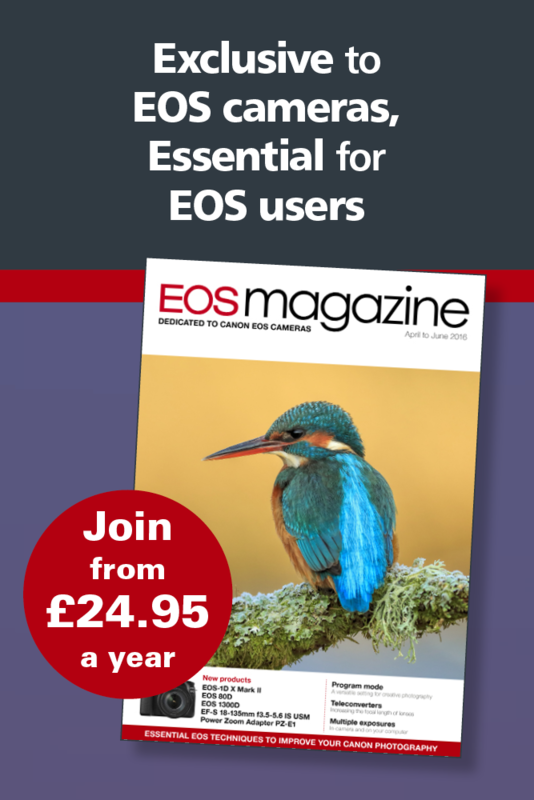 The past is always a useful guide to the future – and based on this, we’re going to look at the EOS R system in light of the EOS RP launch earlier this month. And to do so, we’re going to delve into the archives at the launch of the EOS 300D (USA: Digital Rebel) back in 2003, and even further back still to the launch of the EOS 650 film camera in 1987. Even if we don’t have insider knowledge, we know our EOS history, and that’s always served us well when it comes to understanding Canon’s intentions and development decisions. At the launch of the EOS 300D, Canon predicted that it would be a significant point in the history of digital photography. Canon today launches the EOS RP – a small, light and practical full frame mirrorless camera, for advanced amateurs looking to take a step-up into Canon’s revolutionary EOS R System. Ideal for travel, landscape and portrait photography and videography, the EOS RP promises greater potential opening up all the benefits of the EOS R System – including the world’s fastest autofocus at 0.05 seconds. Today, Canon also announces the development of the RF 24-240mm F4-6.3 IS USM – the perfect travel companion – practical in both size and performance, plus a further five RF lenses that are in development and will be released in 2019. Canon, the world leader in lens manufacturing, today reaffirms its commitment to its recently launched EOS R system and RF mount, announcing the development of six full frame lenses for release in 2019 in celebration of reaching a production milestone of 140 million EF and RF lenses. The Canon RF 85mm f1.2L USM is a large aperture mid-telephoto prime lens, offering the ultimate performance for advanced and professional portrait photographers. The Canon RF 85mm f1.2L USM DS, with Defocus Smoothing, is a unique high-performance lens, offering a combination of beautifully smooth, defocused foreground and background bokeh and a super-fast aperture to produce breathtaking portraits. The Canon RF 24-70mm f2.8L IS USM is a high-performance, standard zoom lens for professionals and photo enthusiasts alike – ideal for shooting portraits, landscapes, documentary or weddings. Alongside the launch of the EOS RP and development announcement of six new RF lenses scheduled for release in 2019, Canon has announced that it reached an all-new and impressive manufacturing production milestone of 140 million lenses. The milestone was achieved on 19 December 2018 and includes production of its EF lens range (including EF-S and EF-M), plus new RF lenses and Cinema EOS lenses. Firmware version 2.0.0 is available for the RF 24-105mm f4L lens. It supports continuous shooting in silent shooting mode with the EOS R running firmware version 1.1.0 or later. Download the firmware here for Windows or Mac. 1. Support for continuous shooting is available when silent shutter has been enabled.